Stagecoach is working together with Alexander Dennis Limited (ADL) and technology company Fusion Processing. Why? To produce a single decker autonomous bus. The first full-sized driverless bus in UK. Indeed, the vehicle is based on the Enviro200 by ADL, powered with diesel. The trial is expected to begin by the end of 2018 and will involve driverless journeys in depot, as driverless vehicles are not yet allowed to travel on public roads. Enviro200 in driverless version will be completely autonomous and able to operate without a driver in an off-road environment. 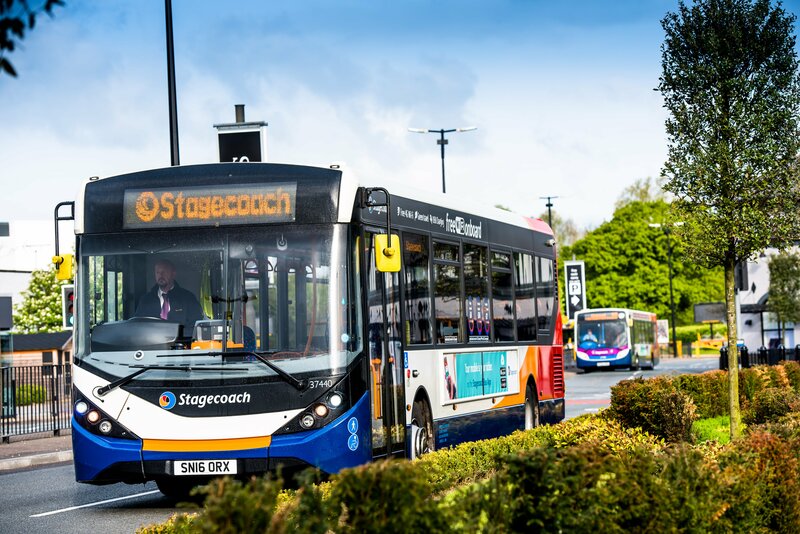 The technology, claims a press release by Stagecoach, also delivers road safety benefits when driven in manual mode. Work on the vehicle is being carried out at ADL’s site in Guildford and the bus is expected to be ready for use by the end of this year. In the short term, the bus will be used in autonomous mode only within the depot environment, to carry out movements such as parking and moving into the fuelling station and bus wash. Using self-driving vehicles within depots more widely could help improve safety, efficiency and space utilisation within the depot. The “smart depot” where buses move in driveless mode is one of the first kind of application of autonomous bus that could become reality. Previously this year, Volvo Buses unveiled its first autonomous bus, with electric motor. Due to legal restrictions, the vehicle will not be used in autonomous mode in passenger service for some time. However the system can be used straight away to help improve the safety of road users. For example, when the bus is driven in manual mode, the sensor system on the bus, whilst not engaged to drive the vehicle, can still be used to provide assistance to the driver by warning of cyclists or pedestrians that may be in the blind spot or arrive unexpectedly close to the vehicle. Over time, autonomous bus technology is expected to be used more widely, including on services carrying passengers, dependent on legal developments. The autonomous bus will be fitted with the CAVstar system provided by Fusion Processing. The system was utilised successfully in the UK’s largest public trial of autonomous vehicles to date, in Greenwich earlier this year, and a number of other projects. The system uses multiple sensor types, including radar, laser, camera and ultrasound, along with satellite navigation to detect and avoid objects, in all weathers, day and night, and plan an optimum path for the vehicle.